Our ultimate review of crowdspring, one of the well known design contest sites. Overview, estimated pricing, advantages and disadvantages. Of all the design sites available, Crowdspring offers one of the bigger designer pools for crowdsourced design. While they also have the option of following a more traditional system and hiring a single designer outright, their competition function allows you to receive multiple options for about the same price, increasing the chances that you will get exactly what you’re looking for. Working in multiple design domains—from logos to illustrations to websites and more—this site offers a solid option with lots of choices for your design needs. Crowdspring was launched in 2008 as a way of democratizing the design process. Since previous models had given clients limited choices and designers limited access to possible clients, the site’s goal was to connect the two groups in a way that offered the most possibilities for successful matches. In the decade since its inception, Crowdspring has allowed over 206,000 creatives from 195 countries to work with 52,000 clients to create great designs for their logos, websites, products, and names. For this Crowdspring review, we walked through the process of getting a design through the site, and it is pretty straightforward. First off, you have the option between choosing to hire a one-on-one designer or doing a design contest. One-to-one hires require you to negotiate directly with the designer, but they advertise them starting as low as $149. The design contests are the core of the company, and you start the process by choosing your package (prices from $299 for logo competitions). The second step is creating your project brief, in which you will answer some simple questions, offer a description, and select color palettes to guide designers. You are encouraged to include as much details as possible. Once you publish your contest, designers will start responding with submissions, and you can offer feedback throughout this time. Finally, when you find the perfect design (or within seven days of the close of your project), you choose your winner, make any final tweaks, and approve the final design. At that point, your designer will receive the prize, and you will be given full rights to the design. The conclusion of our Crowdspring review was that this is a solid contender when it comes to online design sites. While the brief process doesn’t have you choose other designs that appeal to you like most sites, it is very thorough and asks a lot of probing questions to really give your designers a good idea of what you’re looking for. There are also a host of extra options you can add to increase your response rate, speed things up, or otherwise customize your experience. Really, the only sticking point may be the prices, as they are a bit higher than you will pay on some of the other sites. Still, if you can afford it, the number of designers on Crowdspring and the overall quality of the site are pretty tempting. 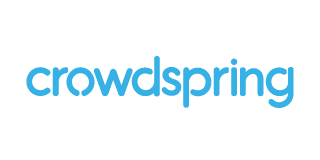 Also, at the time of writing this Crowdspring review, they are offering a special deal to The Crowder visitors which will allow you to get $25 off your purchase and add advanced promotion (worth $99) for free! Crowdspring was great to work with. We started with a concept and finished with a sweet design. There was a lot of back and forth communication to get things right and it all went very smoothly. We had great designs to choose from and it was easy to work through the final changes necessary to get exactly what we needed. I have done work on crowdSPRING (as wordisborn), and have very positive things to say about them on the whole. They are ethical and pleasant people, and they make the interface quite intuitive and easy to use. They even did a profile on me at one point after I had a few “wins” for various clients that was a lot of fun to participate in. From a business/end-user perspective, they have an active community of creatives such as myself, so they are a great resource to utilize, especially for a project such as a business or product naming and logo design. Check them out. Needed a new logo for my business. I entered my brief, and started getting design pretty quickly. After some back and forth with the designers, I eventually got one I’m really happy with. Got a logo – better than i could have Imagined!! Really pleased with the results and I’m getting tons of compliments on it.